Why See The Marvelous Wonderettes? 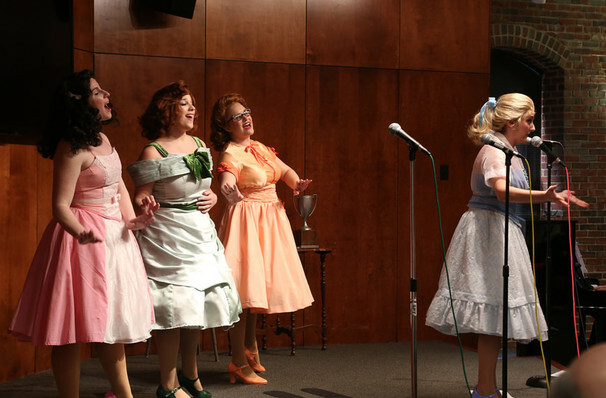 The Marvelous Wonderettes returns to Off-Broadway after a gap of five years. A sunny jukebox musical whose score is composed of 1950's and '60's girl group classics. Among the iconic pop songs featured are 'Mr. Sandman', 'Lollipop', 'Son of a Preacher Man' and 'Hold me, Thrill Me, Kiss Me'. What is The Marvelous Wonderettes About? We first meet Cindy Lou, Betty Jane, Missy and Suzy aka The Wonderettes at their 1958 Prom Night, performing a selection of girl group classics in front of their fellow classmates. The musical traces the next decade of the girl's lives up to their reformation in 1968, when they once again take to the stage for their high school reunion. Sound good to you? 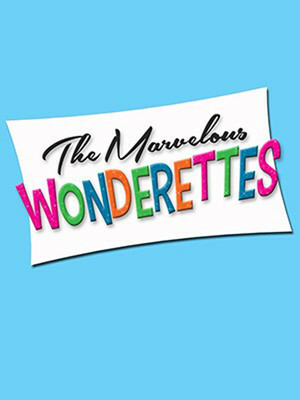 Share this page on social media and let your friends know about The Marvelous Wonderettes at Kirk Theatre. Please note: The term Kirk Theatre and/or The Marvelous Wonderettes as well as all associated graphics, logos, and/or other trademarks, tradenames or copyrights are the property of the Kirk Theatre and/or The Marvelous Wonderettes and are used herein for factual descriptive purposes only. We are in no way associated with or authorized by the Kirk Theatre and/or The Marvelous Wonderettes and neither that entity nor any of its affiliates have licensed or endorsed us to sell tickets, goods and or services in conjunction with their events.